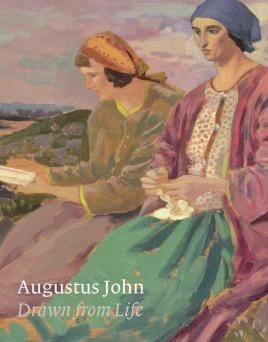 Augustus John: Drawn from Life seeks to restore this remarkable artist to his rightful place in the canon of British Art. In the first three decades of the 20th century Augustus John (1878-1961) was widely considered one of the greatest living British artists, famous almost as much for his extraordinary Bohemian lifestyle as for his outstanding portraits, etchings and drawings. John was born in Wales in 1878 and educated at the Slade School of Art in London in the 1890s, where the onus of teaching was on the daily life class and a close study of the Old Masters. He soon emerged as a wonderfully gifted draughtsman - indeed, the American painter John Singer Sargent would declare that John's youthful drawings were amongst the fi nest seen since the Renaissance. Dividing his life between England, Wales and France, and reaching his prime in the years immediately before the outbreak of the Great War, by 1910 John would be likened to a British Gauguin, a Welsh Post-Impressionist using bold colours and a willfully naïve and primitive style to explore the complex combination of romanticism, escapism and alienation engendered by 20th-century life. The great American collector John Quinn considered John and his sister Gwen key European artists, and his work would be included in the infl uential Armory Show in New York in 1913. After the War he would become Britain's leading society portraitist, earning a fortune in commissions - though it was his more personal paintings of friends, lovers, family and fellow artists and writers such as W.B. Yeats, T.E. Lawrence, Dylan Thomas, Ottoline Morrell and his muse/ mistress Dorelia McNeill that best revealed his great talents. outbreak of the Second World War.